This will likely be your family\\\'s new favorite dinner! In a large mixing bowl, combine ground beef, eggs, drained crushed pineapple, breadcrumbs, salt and pepper. Add mixture to 9×5-inch loaf pan. Meanwhile, whisk together the reserved pineapple juice with the ketchup and brown sugar. After 1 hour of cooking, pour the sauce over the top of the meatloaf and bake for another 15 minutes, or until completely cooked through. 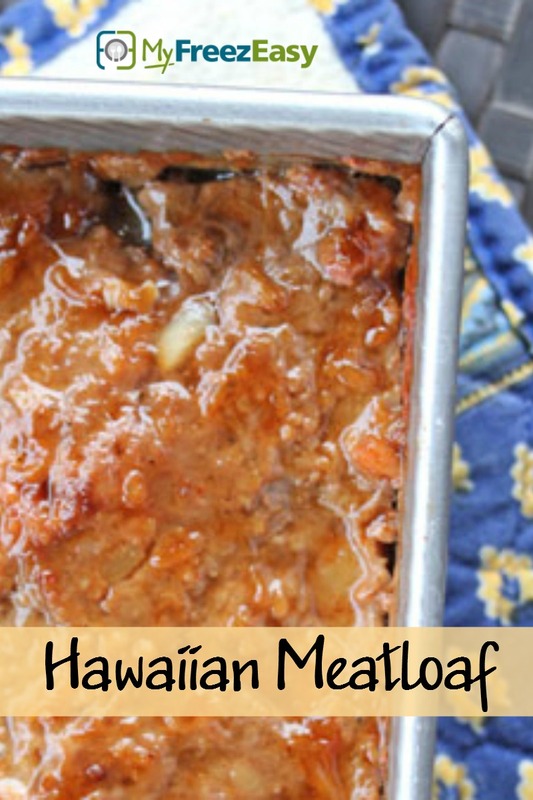 Serve Hawaiian Meatloaf with side of veggies and baked beans. Open and drain 1 can of crushed pineapple. Reserve the pineapple juice. In a large mixing bowl, combine 2 lbs. ground beef, 2 eggs, 1 can drained crushed pineapple, 1 cup breadcrumbs, salt and pepper. Prepare sauce that goes on top of the meatloaf at the end of cooking. Whisk together 1 cup pineapple juice, 2/3 cup ketchup and 2/3 cup brown sugar. Divide into 2 small containers or baggies and freeze separately near the meatloaf. Set up 2 disposable 9x5 loaf pans. 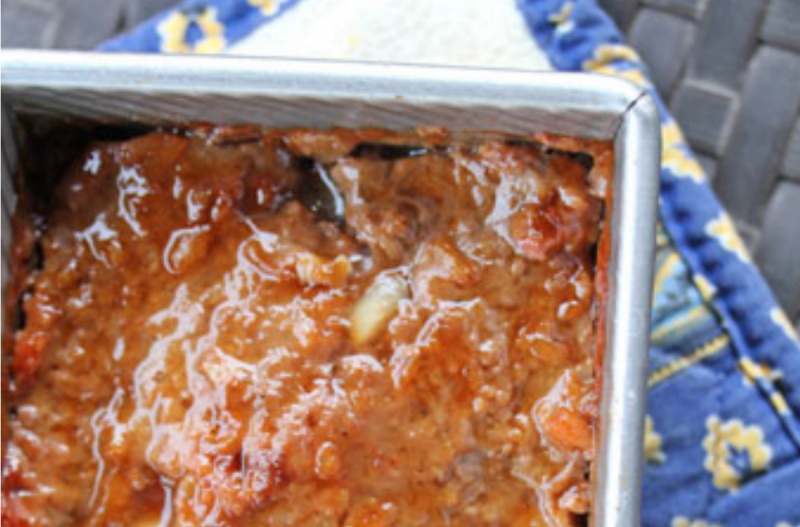 IMPORTANT: Do not add the sauce to the meatloaf before you freeze it. Prepare it and put it in a small plastic container or baggie and freeze in another bag near/with the meatloaves. Thaw it and brush it on top of the meatloaf towards the end of baking, as directed in the recipe. Cover with foil or lid, add label to top and freeze. Put loaf pans in the freezer and freeze up to 6 months in fridge freezer or 12 months in a deep freezer. Thaw in the fridge overnight before baking as directed. If cooking from partially thawed, you will need to cover for half of the baking time and cook an additional 30-45 minutes or until completely cooked. Thaw and bake at 375 F for 1 hour. Thaw pre-made sauce or whisk together pineapple juice, ketchup, and brown sugar. After 1 hour, pour sauce on top and bake another 15 minutes, or until cooked through. Serve with veggies and baked beans.